The Marlin 60 has been one of the most popular small caliber rimfire rifles for over 50 years! This American classic sports hair splitting accuracy, rugged reliability and sleek lines with a sharp black synthetic stock. 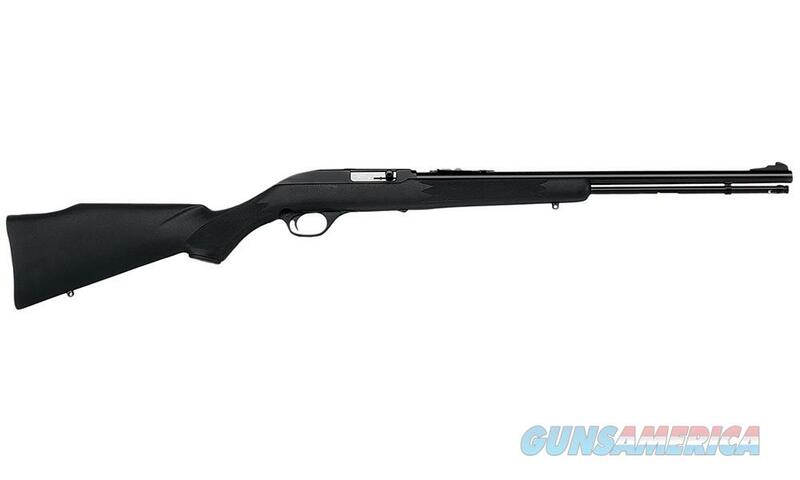 With a cross-bolt safety and last round hold open, this is a fantastic rifle for introducing new beginners to the shooting sports. It's an excellent choice for small game and varmint hunting or a great option for pest control and recreational shooting. This economical 22 autoloader features a 19" barrel, side eject and a 14 shot tubular magazine. You'll always be on target with the adjustable rear sight matched to the ramp front sight, but it also has a grooved dovetail receiver for your favorite rimfire optic. From young hunters to sporting veterans, the Marlin 60 is a must have rifle that you will pass down for generations!